The Sero 8 Pro has some serious issues, but for the price it’s still worth a look, especially if you’re after a good display. HiSense might not be all that well known in this part of the world, but in Australia and parts of Asia it’s an up-and-coming maker of smartphones and tablets. The Sero 8 Pro is its latest offering and seeks to combine entry-level pricing with decent specs and design. It also looks a lot like an iPad, which will no doubt help shift a few units for those who admire Apple’s work. 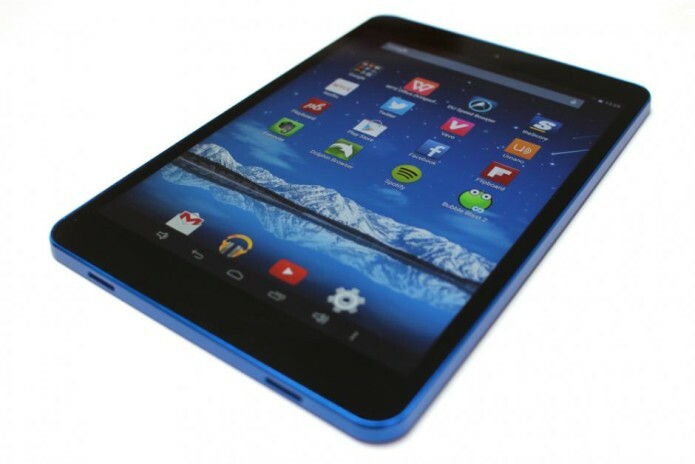 However, at just £99 it’s a lot cheaper than the iPad – and most other Android slates, for that matter. What corners have been cut to reach that price, and is this pretender worth bothering with? We’re about to find out. At R3 000 the Hisense Sero 8 Pro is seriously impressive. The Sero 8 Pro is a lovely looking piece of kit, despite the £99 price tag. The casing is made entirely from metal and this gives the device a weighty presence. The model we reviewed was blue, but the Sero 8 Pro comes in other colours as well. All of the inputs and ports are located on the top edge of the tablet. You’ll find a power button, 3.5mm headphone socket, Micro-USB port and MicroSD card slot. There’s no volume rocker anywhere on the device; instead, you’ll have to use on-screen controls – an odd choice, to be sure. 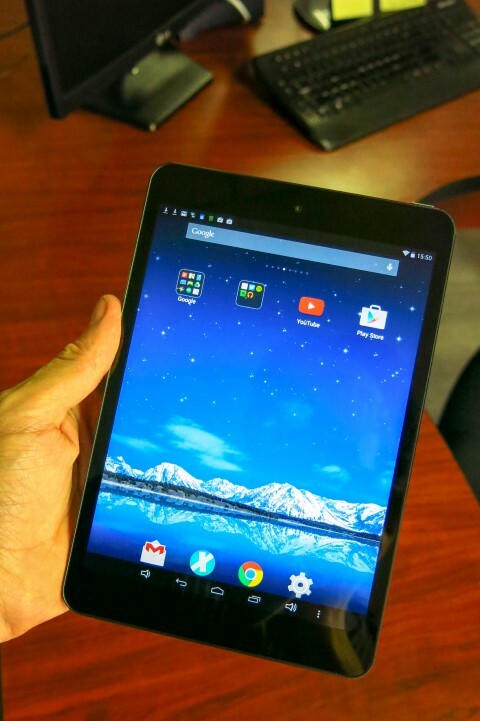 At 6.35 mm thin, Hisense claims it’s the thinnest 7.9″ tablet around. The Sero 8 Pro’s 8-inch screen is arguably its crowning glory. The IPS panel has a resolution of 2048 x 1536 pixels and an aspect ratio which is close to that of the iPad. It’s pitched as a “Retina” screen, and to be fair, it’s a close match to the display on Apple’s tablet. Detail is fantastic, as is colour replication and contrast. This is one of the best tablet screens we’ve seen in ages, and to find it on a device which costs less than £100 is nothing short of amazing. The screen may be astonishing, but elsewhere the Sero 8 Pro is less impressive. It’s running Android 4.4.4, which places it behind the curve when it comes to software updates. The ARM Rockchip chipset inside this low-cost challenger is quad-core and clocked at 1.6GHz, but is only accompanied by 2GB of RAM. Pushing all of those pixels is clearly too much for this tech, and as a result you’ll encounter bottlenecks when there are loads of processes happening in tandem. Switching between applications is also sluggish. It’s not a deal breaker – for the most part, the Sero 8 Pro is perfectly useable – but it’s far from the smooth experience you’d see on other, more expensive offerings. HiSense has wisely kept UI customization to a minimum here, with the interface looking very much like stock Android. There are some minor changes – there’s no app drawer, for example, and all of your apps are on the home screen, just like they would be on an iPad. Viewster’s on-demand movie player is also pre-installed and supplies some pretty terrible content. Removing the Viewster widget – as well as the HiSense social widget, which piggy-backs off Instagram – is one of the first tasks you’ll want to undertake when you liberate the tablet from its packaging. There’s 16GB of memory inside the Sero 8 Pro, but you only have access to just under 11GB of that total. The inclusion of a MicroSD card slot means you can add to this amount if needed, up to a limit of 32GB. The 8 megapixel camera is a total write-off, supplying terrible photos. Definition is disappointing and images are fuzzy and have an unwelcome blue-ish tint on them. Few people legitimately use their tablets for photography so it’s not a massive issue. The 2 megapixel front-facing snapper is good enough for Skype calls and the like, but little else. 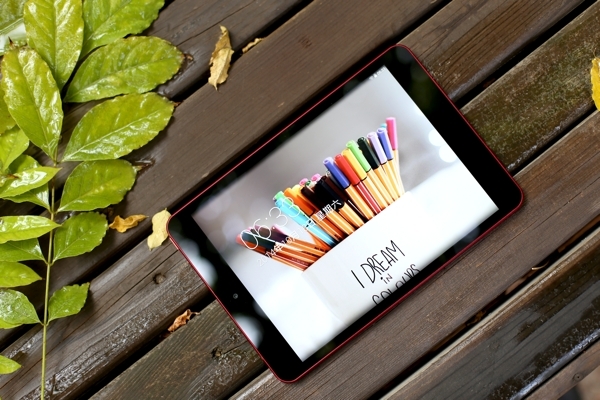 Any tablet which costs less than £100 has to come with some drawbacks, and that’s especially true of the Sero 8 Pro. 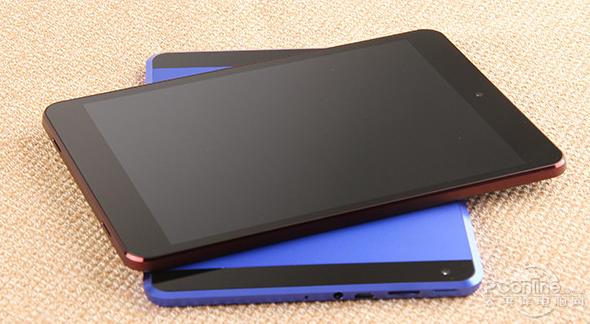 The amazing screen is the high point, and the build quality is also above-average. However, the processor struggles to keep pace with the rest of the package, the camera is a waste of time and the software is outdated. Still, for £99 it’s hard to grumble – especially when the display is this good. As far as innards go, the Sero 8 is solid, featuring an ARM Rockchip quad-core processor running at 1.61 GHz. It’s not the fastest, but certainly not the slowest, beating out the likes of the Samsung Galaxy Tab Active and LG G Pad 8.0 in AnTuTu scores. Alongside a good injection of 2 GB of RAM, the Sero 8 certainly purrs along quite nicely, proving that at this price-point the Sero 8 impresses. Android KitKat 4.4.4 takes care of the software side, while Hisense installed their Vision UI, certainly the most frustrating aspect of the Sero 8. Much like on certain Huawei devices, you don’t have an app drawer, rather just different screens featuring all your apps. These can be managed into folders so it’s not truly a concern and easily gotten used to. What is a problem, is the three whole screens that Hisense dedicates to pre-installed nonsense. One for recommended apps, one for Viewster (a movie streaming app showcasing uninteresting b-grade movies, luckily for free since I wouldn’t pay for any of them), and one for MyApp (which you can sign into Instagram with as far as I can tell and displays photos from there). These pages cannot be removed, and the apps cannot be uninstalled, only deactivated, which still displays the pages. Not only are they intrusive, but it manages to never make the tablet feel like your own, since these pages are always there staring you in the face. This is the worst example of bloatware we’ve seen yet and something Hisense needs to drop ASAP if they want to be taken seriously. Another niggle is the Hisense’s average battery life, with the 4400 mAh battery allowing for a bit more than four hours of movie watching before dying. If you want to take pictures with your tablet, an action we would never recommend anyways, you will find an 8 MP back and 2 MP camera of so-so quality. Rather take out your camera phone or your DSLR. On many tablets, the sound is not sufficiently loud, luckily the Hisense does not suffer from this. Dual speakers at the bottom of the device makes allows for a decent movie watching experience, if not slightly on the tinny side. There is a Dolby app included, which comes to the fore if you are wearing headphones. Not too big, and not too small. While the Sero 8 Pro still have a bit of work to do regarding camera quality, battery life and annoying bloatware, where it matters most – a beautiful screen, solid innards and a sleek, well-constructed body – Hisense certainly got it right. The best part is the expected retail price of R3 000, which makes the Sero 8 Pro highly recommended.